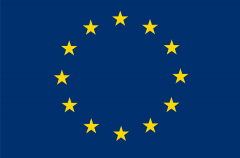 The European Union has been a prime mover in the development of the Jaipur Bloc. Through their Switch Asia project, it is promoting sustainable production and consumption throughout Asia. It does this primarily through grant projects that help set-up sustainable and reproducible production practices, by creating a network facility for ensuring replication of sustainable practices, and by supporting policy level change at regional and national levels.